My theme post Come in, Take a Seat is up a Write Anything today. It’s an update on the progress of my projects (Pipers Reach and my birthpunk novel/la). Even though I’ve had forward momentum on both the projects, I floundered when it came to sharing the progress with the WA readership. I didn’t want to write a dry, boring citation of progress–especially given it’s almost the end of the month and we’ve had almost four weeks of others’ updates. Intrigued with the monologue and the most intimate of storytelling, via fictional diaries and most recently, letters, I chose to share my review as a monologue. Not sure how it comes off, I’ll let you the reader decide. All I can say is, I wish all reports were this much fun to write. Maybe next time I’ll pen a letter… or postcard! It’s Piper’s Reach Day! (No–actually it was yesterday–I somehow wrote, reviewed and then forgot to publish this!) The third letter dropped into the box around lunch time. But it was double Pipers Reach Day because I just received letter 15 from Adam today. It’s the first time the two have synced up (sure it won’t be the last though). From now, things start to get messy and a bit dark, but there are moments of laser insight and beauty. Perhaps this time around I’ll see the beauty in Ella-Louise’s brokenness, because I sure as hell didn’t writing it (despite Adam’s reassurances). All I wanted to do was write with the poetic turn of phrase belonging to Jude. 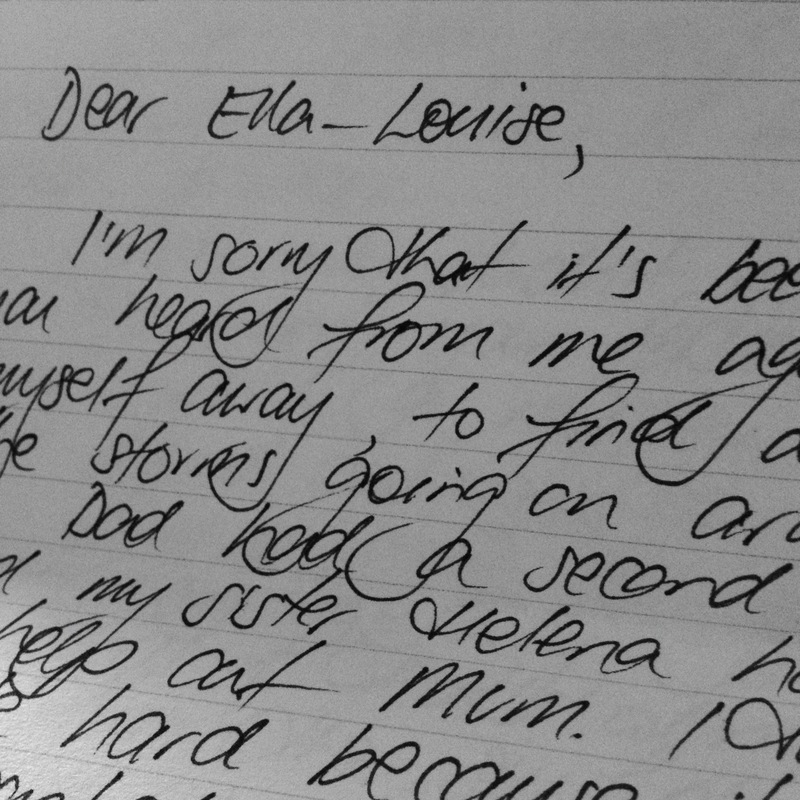 Writing the early letters of Ella-Louise was traumatic, felt like my guts were being ripped out with a side serving of my heart. I actually cried at several points, just thinking about her and her lot. Today, receiving Adam’s letter, I remembered why I got into this gig. I wanted a project which I could love with my whole heart, which required nothing but me showing up at the page, that I could do with someone else and would be ‘fun’. Post Marked: Piper’s Reach gives me this. And I know this because today was a blue, flat and unmotivated day. Overcast, cool and dark… a bit like me. But when I held Jude’s letter in my hand and curled up on the couch to read it, a small ray of light lanced the darkness and I felt better. I wanted to pick up a pen and write. I know for certain there is a synergy between these two characters… and I can say that because Adam and I still maintain the blanket silence known as “no spoilers”. Where Ella-Louise is now, connects perfectly with where Jude is. But hell… I apologise. This is three months into your future. Sorry! Best of all, I know Ella-Louise’s new-found sense of peace will transcend my own darkness and perhaps blunt the sharp edges of it. I could say about bloody time. But perhaps it’s best put: she owed me big time and I’m glad she’s coming through for me today. All 33 of the stories in Dead Red Heart are mentioned in an epic review in Black Static (UK). It was with trepidation I scrolled through the review to see what was said about Kissed by the Sun. ‘Kissed by the Sun’ by Jodi Cleghorn sees a vampire trying to escape her maker by soliciting help from the brother of one of her victims, but she underestimates his desire for revenge, the story touching on how obsession can blossom like a weed and consume all that is good in a person. Alongside this is a plot strand about a vampire’s attempt to become a Day Walker through ingesting sun kissed blood. It’s kinda cool to see someone else’s take on the story, especially when I remember having conversations with Jason Coggins about this during the beta reading process and him pointing out the story really was about the master/slave relationship and Anke’s desperation to escape it. Sixteen of the stories in the anthology made Ellen Datlow’s Honourable Mentions for 2011 list. Not mine–but I’m really just a beginner and looking forward to working towards my first honourable mention. So did Jude write back? Well, I guess it is kind of obvious he did, if four and a half months on Adam and I are still penning the fictional missives. You can read Jude’s reply to Ella-Louise here (and I highly recommending opening and reading the original handwritten letter – our handwriting is a bit hard going for the first couple of letters but you soon get into the swing of reading it). I’m waiting on Jude’s 7th letter at the moment (14th in the series). Re-reading the first of Jude’s letters yesterday I realised how it all started off quite innocently, or as Adam commented – tentatively. Ella-Louise and Jude getting a feel for (not of – though by letters 10-12 you could debate me on it!) each other. How the past, present and future are all murky – none have managed to form up into any kind of recognisable shape. Of course several months of writing in, it’s not so innocent and there’s nothing tentative about the way these two are unpicking the past… it’s like looking for fragile fossils with a backhoe. If you haven’t had a chance to dip your toe in the surf at Piper’s Reach – now’s the time, with only two letters to bring you up to speed. And hopefully you’ll come back for more. NB: I’m told the salt leaches into you in a way which binds you to the place… so maybe you might want to avoid the beach at Piper’s. There’s a lovely fish and chip shop which sells the best hot chips – perhaps a better stop to nestle in and read the missives – and ask for your chips without salt! 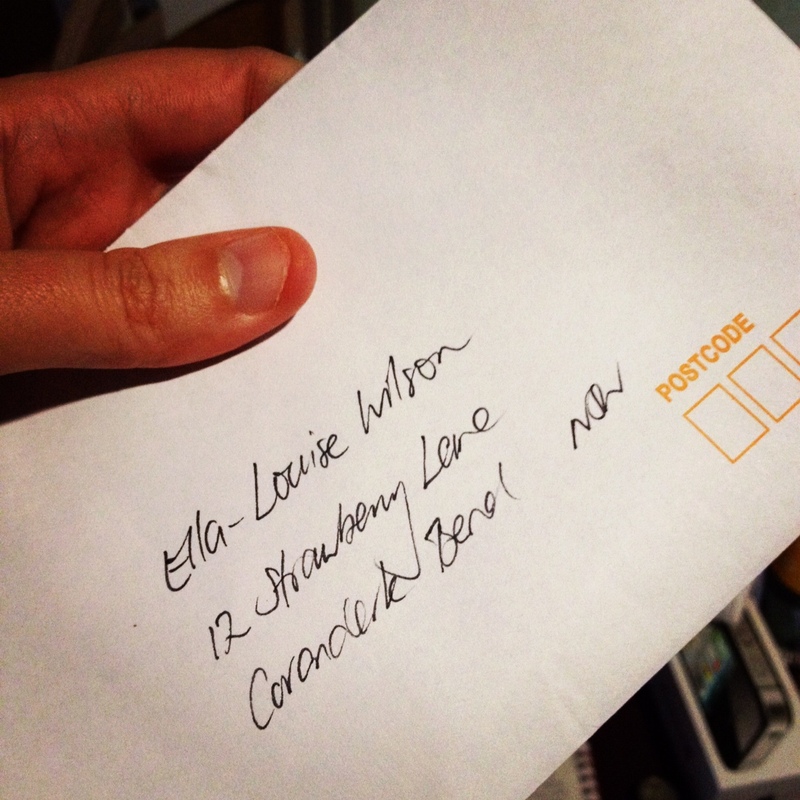 Please drop in to the official site and read the first of Ella-Louise’s missives. A new letter goes live at 9am every Tuesday. I’ve just penned the 13th letter and can assure you, things are starting to get interesting. But… no spoilers! Golden pinstripes of light moved down his naked body in a slow, sensuous scan and for a moment jealousy stabbed at her. The thought of dawn reaching out to claim him, when she’d waited so long. Vote for “Yearning” in the Readers’ Choice Poll. My story “Intersected” has the honour of being included in the second issue (page 17). “Intersected” is pulled from my unfinished Seeker Lover Keeper collection of interconnected shorts (my NaNoWriMo 2011 project)–and is the originating concept for Chinese Whisperings! The fact I didn’t finish NaNo last year, makes the publication of “Intersected” all the sweeter–even though I didn’t ‘win’ I’m leagues ahead of other years where I got my 50K and never went on to do anything more with the words I wrote. It’s encouraging to know from the detris and the final crash of my confidence, something emerged. Robert is the first character who has ever graced my pages seeking a happy ending (really, anyone who knows me, will realise a character seeking a happy ending is barking up the wrong tree here!) But there was something so compelling about Robert I couldn’t turn him away. He must have left a trail of breadcrumbs because less than two months later Ella-Louise arrived, also looking for a happy ending–possibly even more broken and lost than Robert! Published writers are not islands. I’d like to thank: Chris Chartrand who did the original beta read for me, and gave me the thumbs up to keep going; Laura Meyer who gave it a second beta read, including much enthusiasm for how good it was which in turn fueled my flagging confidence; Tiggy Johnson who turned her austere editor’s blade to simplify the sentence structure and imagery to create a more powerful moment in time; Stacey Larner who proof read while cradling her tiny baby boy; and finally Jessica Bell who first encouraged me to submit something and then believed enough in what I submitted to publish it. Submissions for the Volume Three (for publication in July) opened 1st April and close 1st June. You can read the submission guidelines here.